Peter Sagan has finished in the fifth position of Paris-Roubaix. The rider of Bora-hansgrohe couldn't follow the late attack of Nils Politt and Philippe Gilbert and crossed the line just after Sep Vanmarcke. 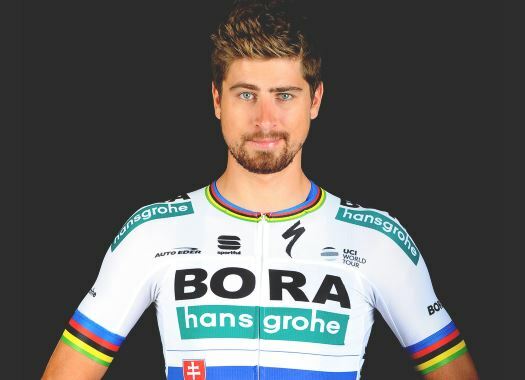 Sagan arrived to the 2019 edition of the 'Hell of the North' as the title defender and one of the favourites to win it. The Slovak champion stayed in the front group right after the Trouee d'Arenberg and did everything he could to follow every attack, but the change of pace of Gilbert at the Carrefour de l'Arbre and the next attack of Politt proved to be too much for him. In the end, the rider crossed the finish line behind the two front men, Yves Lampaert and Vanmarcke. "It was a very tough Paris Roubaix, with the headwind making it even more challenging," Sagan commented at the end of the race. "The team did once again a great job, we had some crashes but they all put in a tremendous effort. We followed all the moves until the Carrefour de l'Arbre but in the last 15km I didn't have the legs to respond to the attacks and try to take a podium spot."